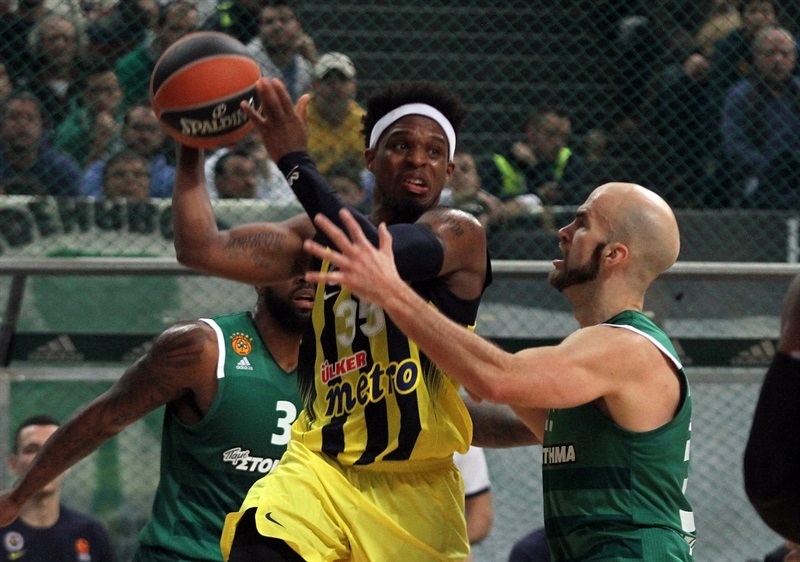 Panathinakos Superfoods Athens grabbed its third consecutive home win in the Turkish Airlines EuroLeague Regular Season by topping Fenerbahce Istanbul 81-70 in the Greek capital on Friday. 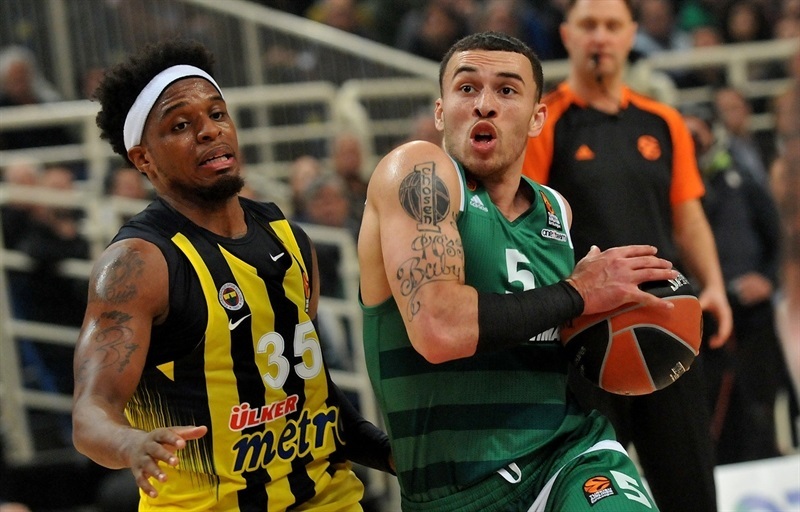 Panathinaikos improved to 7-5, while Fenerbahce dropped to 8-4 and is three wins behind regular season leader CSKA Moscow. 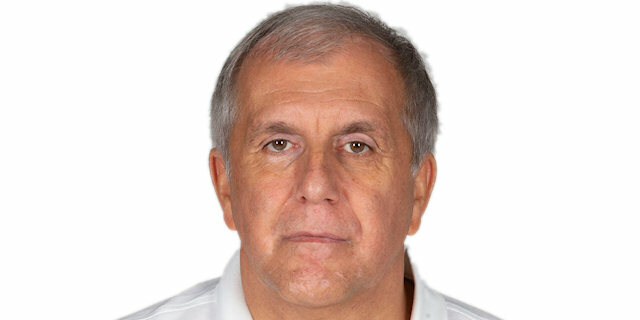 Panathinaikos fans gave Zeljko Obradovic a warm welcome - Obradovic coached Panathinaikos for 13 years and led the club to five of the club's six EuroLeague titles. 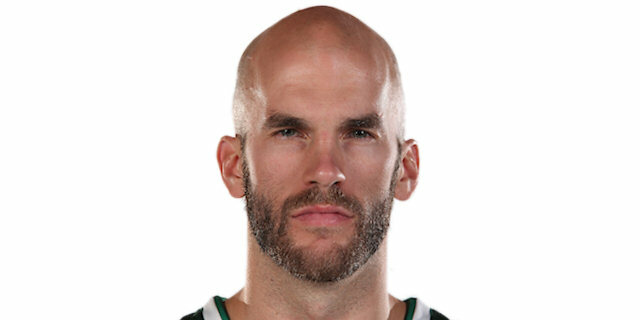 Nick Calathes flirted with a triple-double in collecting 16 points, 8 rebounds, 11 assists and 5 steals to pace the winners. Demetris Nichols added 14 points before fouling out and K.C. 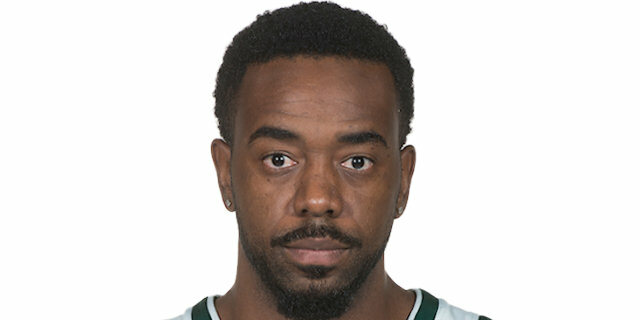 Rivers and James Feldeine had 10 each for Panathinaikos. 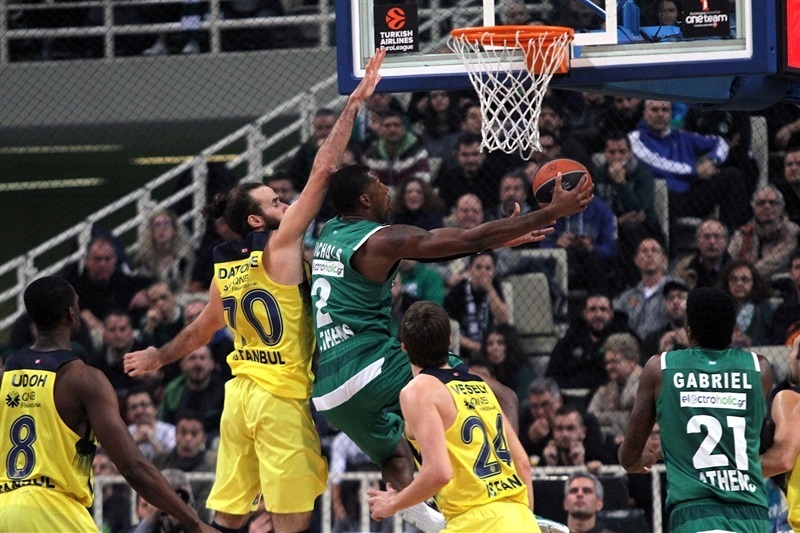 James Nunnally led Fenerbahce with 21 points. Kostas Sloukas added 13 while Ekpe Udoh got 10 and 8 rebounds for the guests. Despite being outrebounded 28-37, the Greens limited Fenerbahce to low shooting percentages - 45.7% inside the arc, 35.3% from downtown – to win the game. 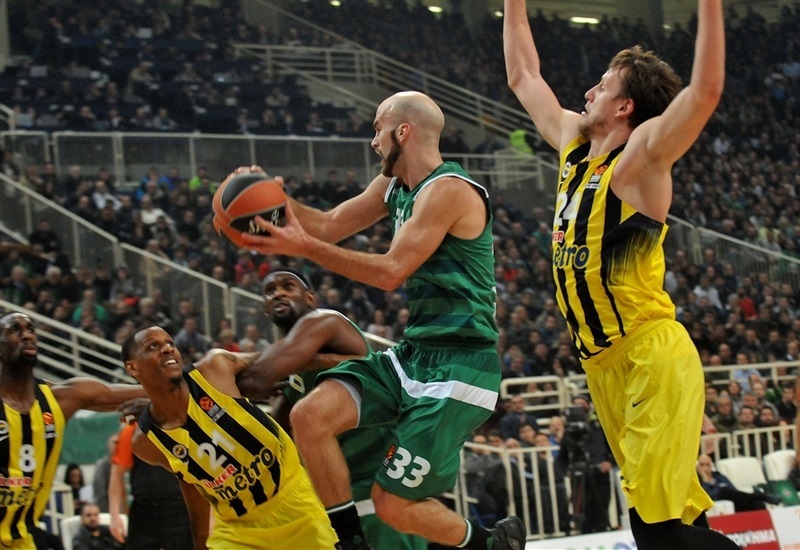 Panathinaikos also committed just 3 turnovers to Fenerbahce's 12. 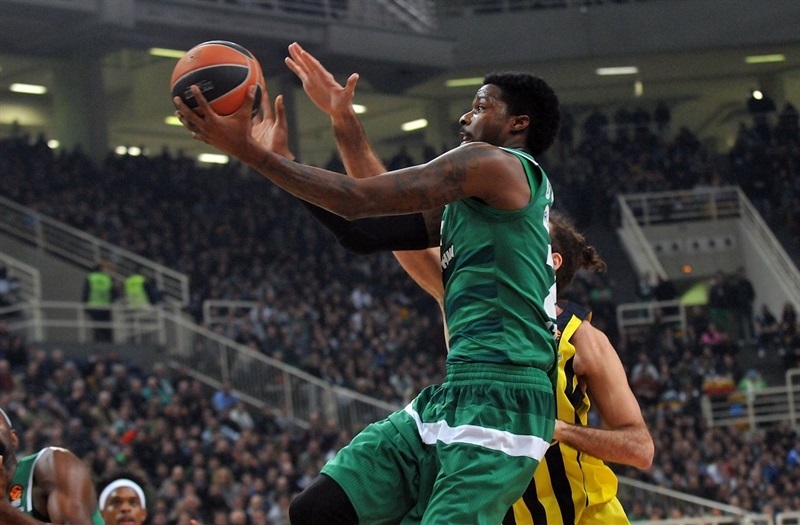 A dunk by Chris Singleton and a reverse layup by Calathes gave Panathinaikos an early 4-0 lead. 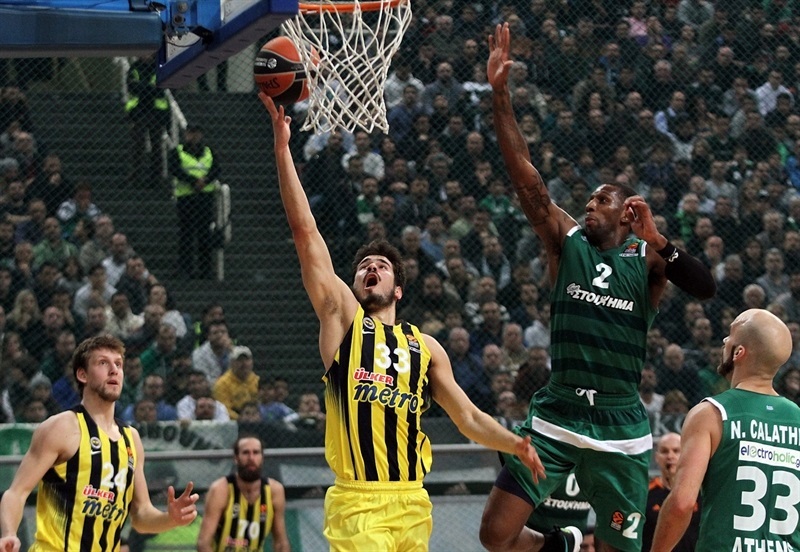 Luigi Datome and Jan Vesely stepped up for Fenerbahce, but a three-pointer by Calathes restored a 9-5 Panathinaikos lead. A dunk by Vesely and a triple by Sloukas gave Fenerbahce its first lead, 9-10. Kenny Gabriel and Singleton each dunked in a 10-1 run, which Calathes capped with a layup for a 19-11 score. A layup by Gabriel and free throws by Singleton boosted the hosts' lead to 23-14 after 10 minutes. Nunnally hit back-to-back jumpers early in the second quarter, but Rivers singlehandedly made it a double-digit game, 28-18. Another triple by an unstoppable Rivers caused Fenerbahce to stop the game at 33-18. Udoh found his first points and Datome and Nunnally struck from downtown before a layup by Nikola Kalinic brought Fenerbahce within 39-34. A buzzer-beating jumper by Nunnally made it 41-37, at halftime. Panathinaikos found a new go-to guy in Nichols, who buried back-to-back jumpers and added a triple that helped his team restore a 51-41 lead. 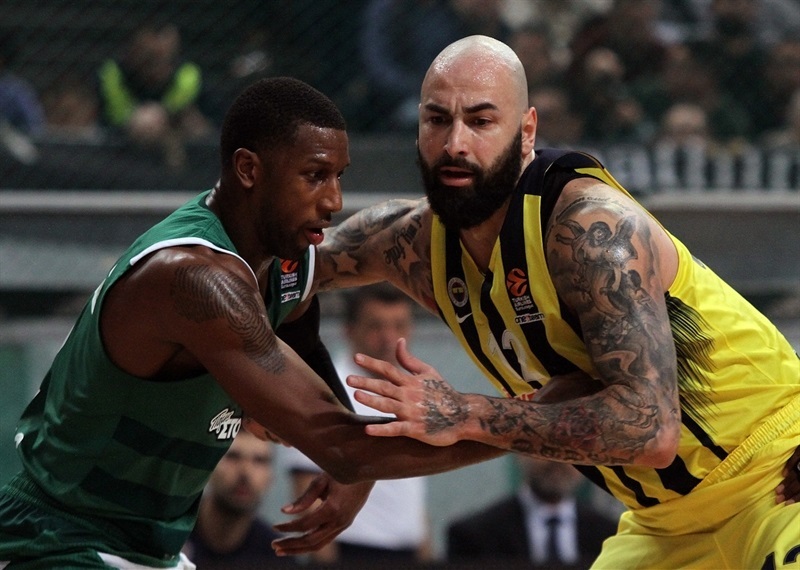 A dunk-and-one by Kalinic gave Fenerbahce hope at 51-46, but Feldeine, Calathes and an unstoppable Nichols allowed Panathinaikos to stay way ahead, 61-52, after 30 minutes. Ioannis Bourousis followed a three-pointer with his trademark jump hook early in the fourth quarter for a 66-52 Panathinaikos advantage. Sloukas and Nunnally tried to change things for Fenerbahce, but back-to-back layups by Calathes caused the visitors to call timeout at 71-57 with more than six minutes left. Fenerbahce did not give up, however, and free throws by Udoh brought the guests within 75-68 with two minutes to go. 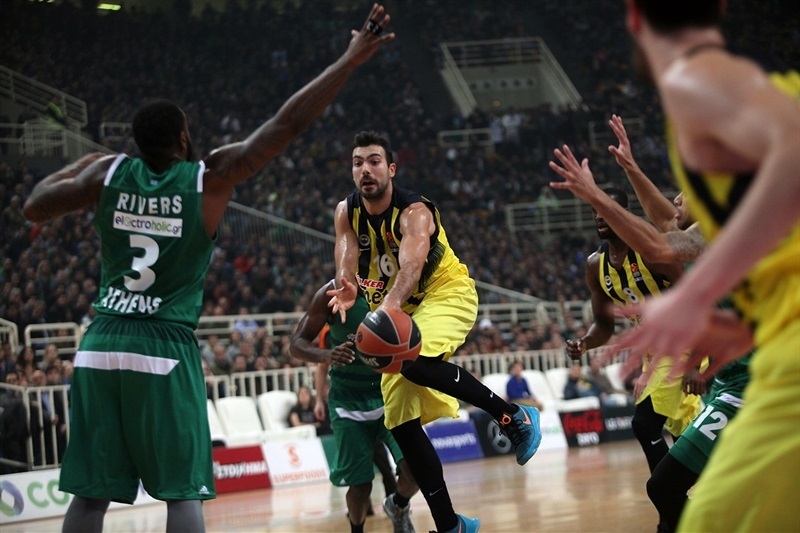 A three-pointer by Feldeine sealed the outcome, 78-68, as Fenerbahce did not recover. "I think it is my biggest win with Panathinaikos until now. It was a great game and I think we played very well at both ends, offense and defense. Obviously, in the end of the second quarter, we lost control, but I think we are happy for this win and the work that we did. All our players tried to do their best today. We were really focused and had a very good physical game. Obviously, we are happy today." "We are very happy for this win. I think we played our best game tonight. We did a great job on defense, more or less a good job on offense and played a complete game. In the end, we found this very important victory for us. I think it was a game in which both teams fought hard to try to win, and I am sure any detail was decisive to make the game go one way or another. I think we had a very good all-around game, except from the moment in which Ioannis Bourousis got injured and we lost control a little bit. We have played very well for the rest of the game. For us, this is the most significant aspect of this game, from our point of view - our good work. Just as players, all coaches try to fight and give our best version in every game. The motivation is always maximum because every EuroLeague game is very important. My players prepared the game really well, mentally and tactically. Everyone was ready and things worked well for us. Of course, fan support was critical tonight. I want to thank everyone that came here for their support. This win is partly because of them. We try to take care of the ball and have tried to limit turnovers since I arrived here. In modern basketball, you pay a high price for turnovers. When Fenerbahce returned to the game in the second quarter, it was due to a couple of turnovers we had and two missed shots around the basket. Preventing turnovers helps our defensive balance. Obviously, getting just three turnovers is unbelievable, but we try to have as few as possible." "First of all, congratulations to Panathinaikos for the victory. They played really aggressive and seeing the statistics that they have, 10 steals and 3 turnovers, we have the opposite, 2 steals and 12 turnovers. This was the key of the game. 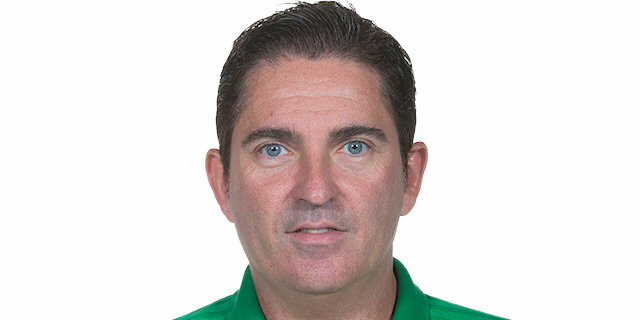 It means that Panathinaikos's players had a bigger desire to play the game than my players. Plus in the first quarter, they took 6 offensive rebounds, so this means that almost every shot they missed, they took the offensive rebound. The best period of our game was the second quarter; we were more aggressive. First of all, James Nunnally, not only because he scored 20 points; he was also very aggressive defensively and his presence changed the game a little bit. The second half was like the first 10 minutes: every time that we came back, we made bad decisions, bad shots. If you shoot 46% from two-point range, it is very difficult to win the game. One more time, congratulations to Panathinaikos for their good game and thanks to the Panathinaikos fans for, one more time, the way they see me over here." "It was a tough game against very well-coached team. We played excellent basketball tonight for 40 minutes and controlled the rhythm. Guys made plays, we had few defensive mistakes and it was probably one of our best games this year. Coach Obradovic has a well-coached team but tonight, we were cooking. Everybody was determined, focused to get the win and prevailed in the end, putting ourselves in a better position in the middle of the EuroLeague season." 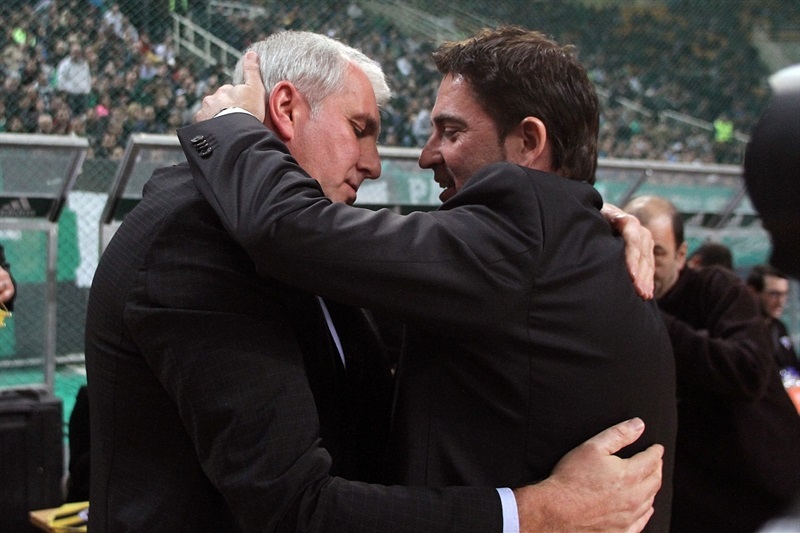 "No question, this is our biggest win in the EuroLeague season. Obviously, they are a very good team, well coached, and they had a lot of momentum coming into this game. Both teams will get better during the season and for us, protecting our home court and getting this kind of win to build on for the season is a great win. The win is more important [than my personal stats]. Obviously, I try to do whatever I can to help this team. It is a big win for us and hopefully we will keep this train moving."